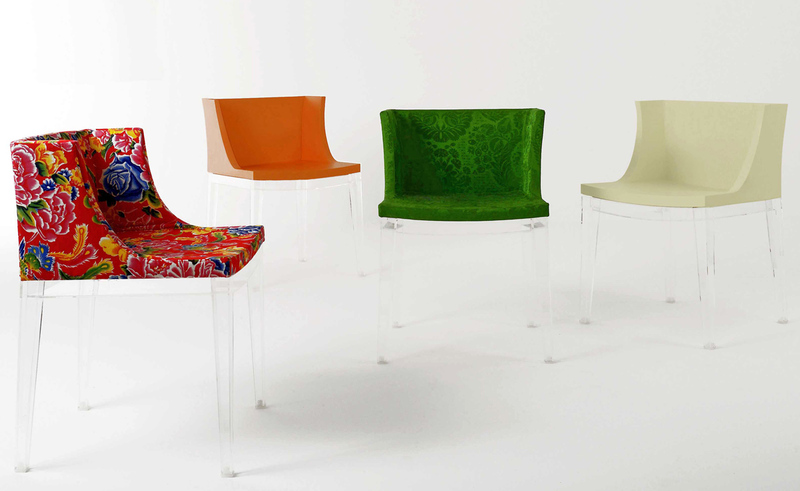 Philippe Starck and kartell team up for an innovative project for an armchair with a clever and first-ever combination of two aesthetic qualities: solidity and space, materiality and transparency. 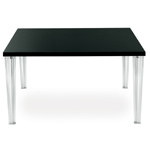 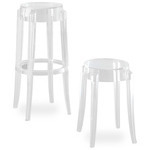 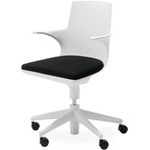 The polycarbonate structure offers a solid and elegant support for a soft seat in fabric-covered expanded polyurethane. 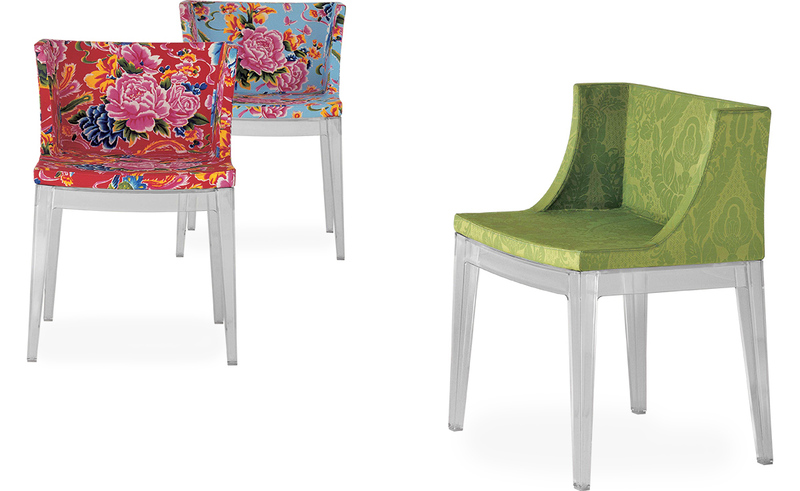 Mademoiselle represents the perfect match, with a unique solution, of transparency and softness, aesthetics and color, delicacy of appearance and practical strength. 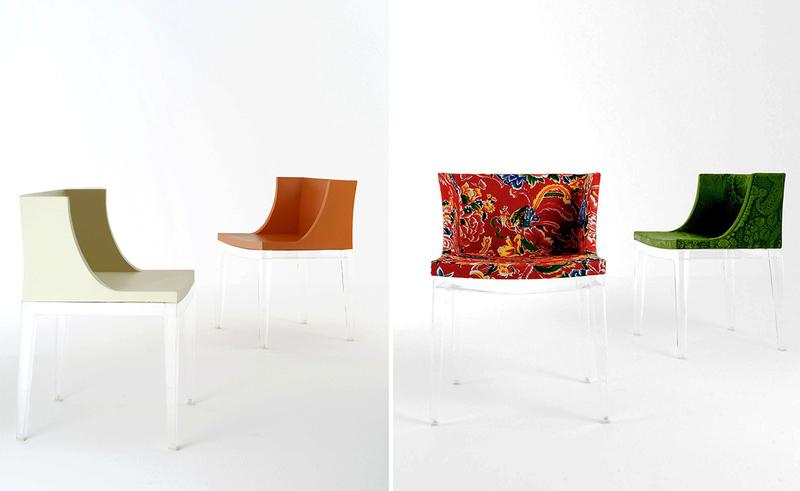 Kartell's most "a la mode" armchair now has a wider range of upholstery to choose from. 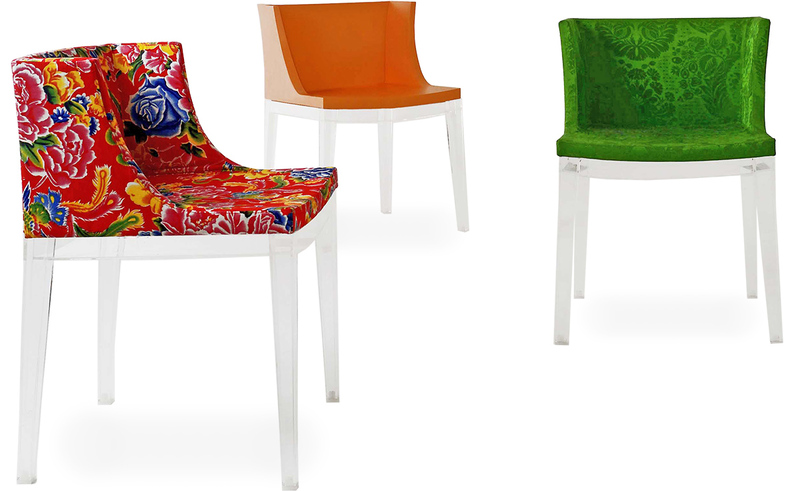 The collection boasts three prints chosen by Rosita Missoni: "Vevey", a cheery kaleidoscope of flowers in red or burnt tones, and "Cartagena" with elegant white and black flower graffiti. 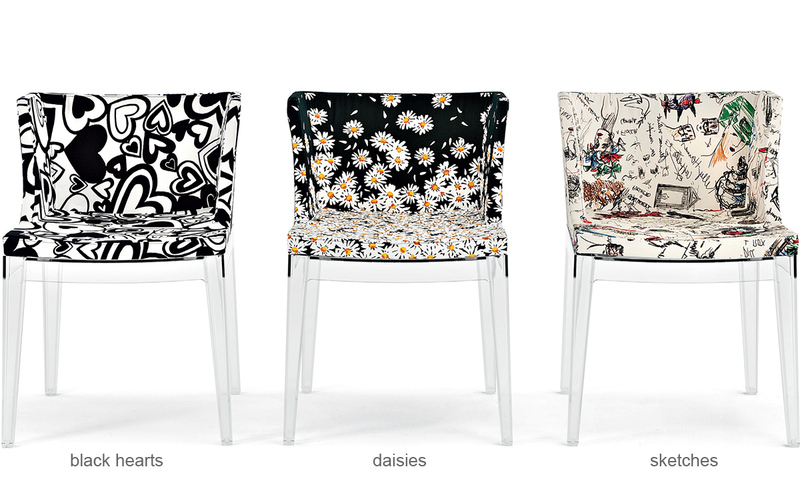 Novelties in 2010, Moschino presents three versions: "Sketches" is the result of a patchwork of original illustrations by Franco Moschino; "Margherite" is a floral carpet on a black background which flows from the seat up onto the back and "Cuori" is Moschino's iconic black and white hearts print. 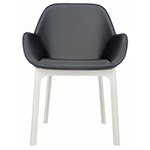 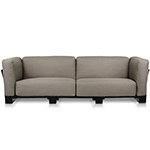 The frame is offered in either transparent or black and the seat is available in a vast range of colors and fabrics. 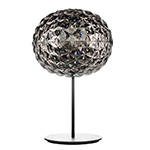 $1,020.00 + free shipping in the continental U.S.